Each and every of us uses pans, kettle, and washing machine almost every day. The problem of removing limescale, rust, and stains is also familiar to most people. Instead of spending extra money on useless cleaning goods or buying new cookware every month, we suggest trying these simple and cheap ingredients available in anyone’s kitchen. It happens to everyone – a food got burnt, and you have to clean these awful brownish-black stains from your favorite aluminum pan. We want to keep our shiny metal cookware in a good condition as long as possible, but sometimes, even the most expensive cleaning goods are not able to get rid of the old stains. All you need is some baking soda, vinegar, and hot water. Most of us have these ingredients in the kitchen already, and they don’t cost much. 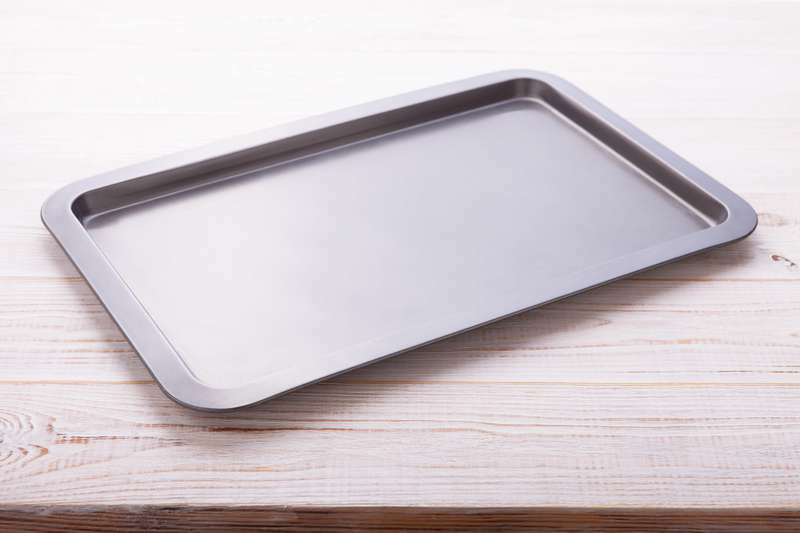 Sprinkle some baking soda on the sheet pans, then add vinegar. Due to the chemical reaction, you will listen a fizzing sound, which occurs when vinegar combines with the baking soda. After that, add the hot water and make sure the water covers the stains completely. Let it soak, scrub, and dry. We boil water in an electric kettle every day or even several times per day. Eventually, we notice limescale in the kettle, which slows down the process of heating. But the worth thing is that drinking water from a ‘dirty’ kettle is not good or even dangerous for human health. That is why it’s important to keep a kettle in a proper condition. Using vinegar is a simple and proven method to clean limescale. 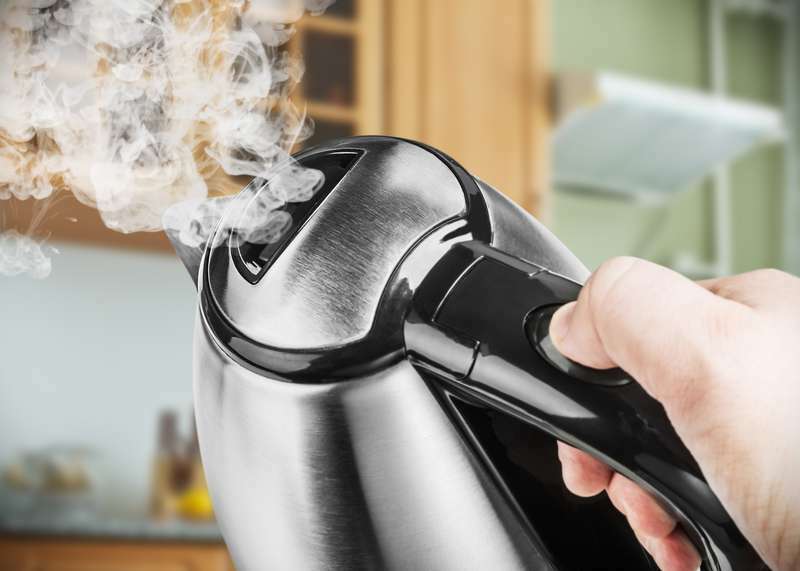 Fill the kettle up to half with equal parts of water and vinegar and get it to a boil. Let the solution in the kettle for 15-20 minutes. Then, throw the water away and wipe the inside of the kettle with a clean cloth. Leave a kettle to dry completely. Well, your kettle is clean, now it’s time to take care of your coffee machine. If you like coffee, if you drink a lot of coffee every day, then most likely, you will need this lifehack. 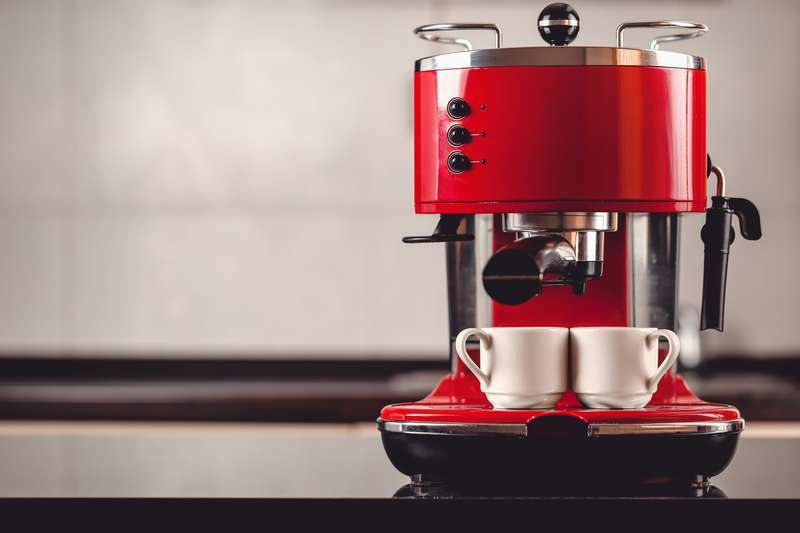 To clean a coffee machine, add a vinegar or lemon juice to the water compartment, then top up with water and run the coffee-making process with this solution. Just make sure none of your family members wants to drink coffee 20-30 minutes after you clean the equipment. Repeat this procedure twice if necessary and rinse the compartment with plain water. Both vinegar and lemon juice can help clean limescale and refresh the washing machine’s innards. Add a large cup of vinegar or lemon juice in place of your usual detergent and run a normal washing cycle (without clothes). 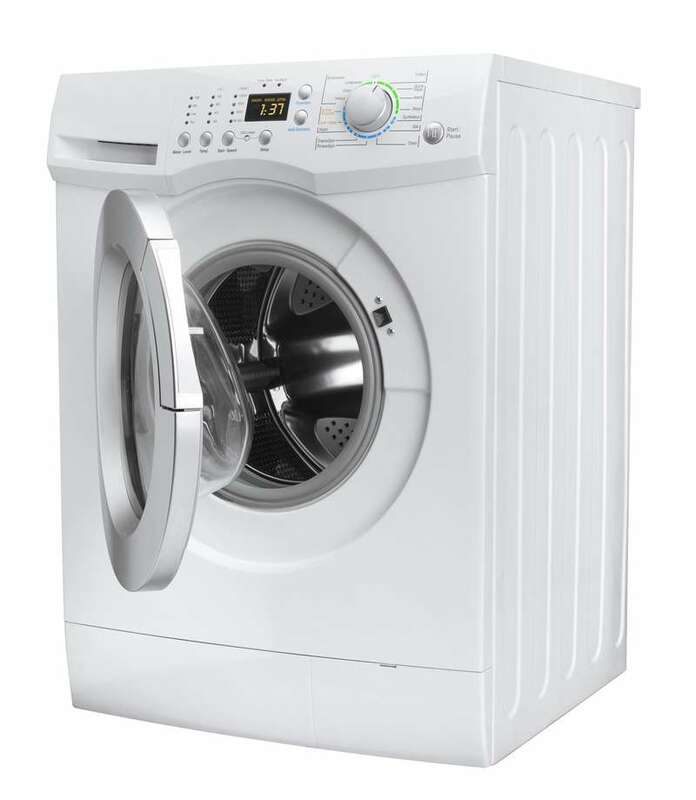 Repeat this procedure once per several months to keep your washing machine in a proper condition for a long time. Cleaning taps is not so easy because they usually get dirty very quickly. 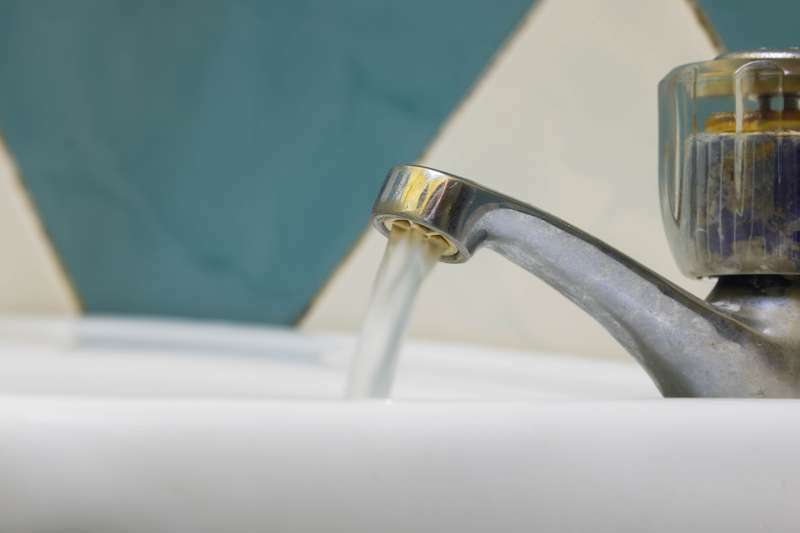 The best method to clean taps is to use a white vinegar with a small amount of lime juice. Spray this solution on the dirty taps and leave for a couple of hours. Soak a piece of cotton wool into the liquid and wrap it firmly around the taps. Make sure to get into all the corners and grooves. We hope these simple tricks will help you keep your kettle, pans, taps, and washing machine clean and shiny all the time.